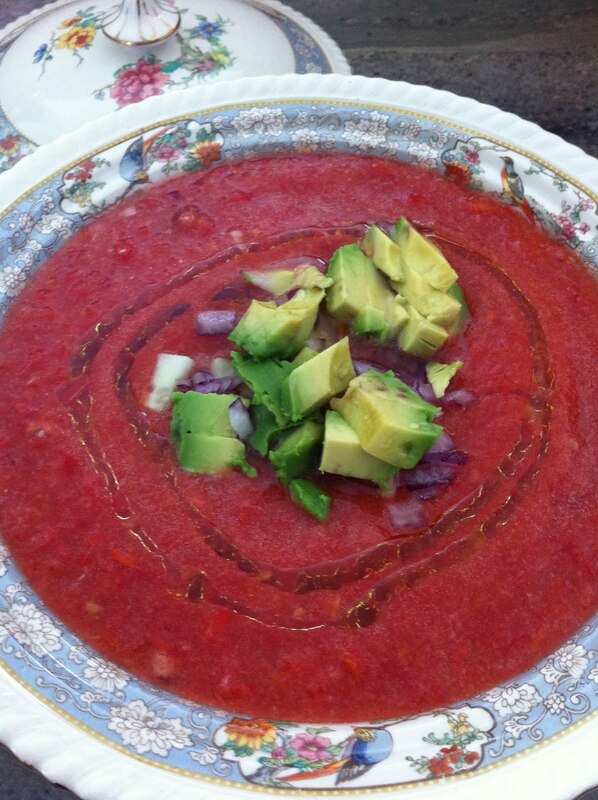 Gazpacho is such a great soup to make during the summer. 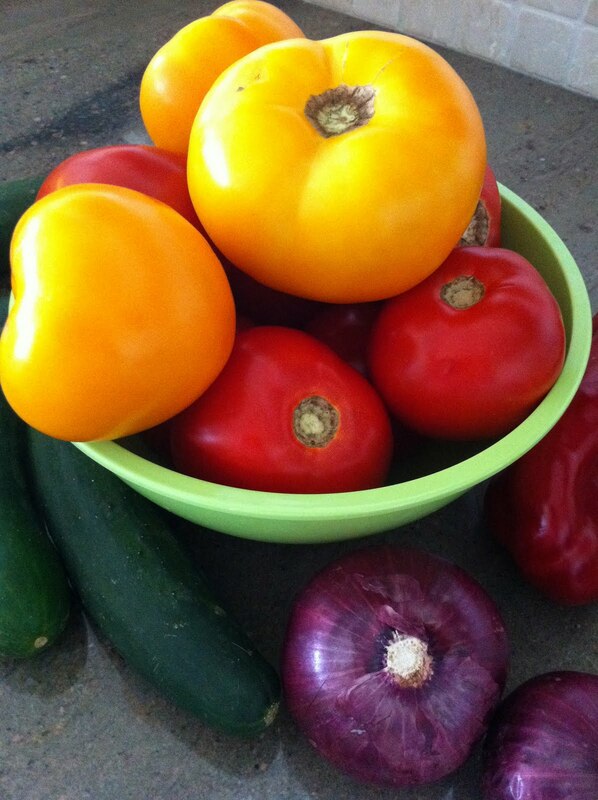 Fresh tomatoes and gigantic vegetables from the farmer’s market make all the difference. Chop the tomatoes into big chunks and puree in food processor. Pour into a big mixing bowl. De-seed and chop the pepper and puree in food processor. Add to the bowl. Peel and chop the cucumber and puree in food processor. Add to the bowl. Chop the onion and process in food processor. Add to the bowl. Add in the vinegar and oil. Estimate the garlic powder and salt. Whisk together. Taste and adjust seasoning. Chill at least 2 hours or ideally overnight. Serve garnished with diced avocado, cucumber, red onions and a drizzle of olive oil!